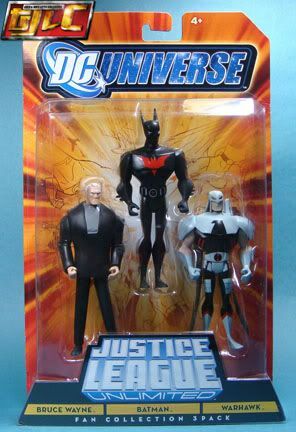 Batman Beyond, Old Bruce Wayne and Warhawk. 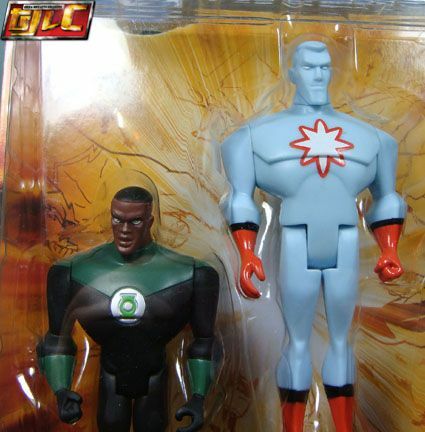 Captain Atom’s head is a bit large. 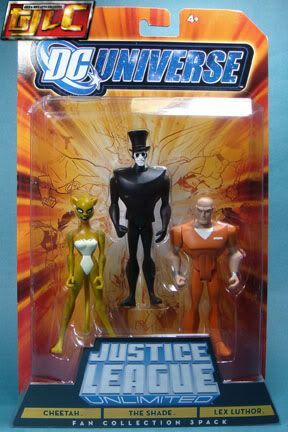 Cheetah, The Shade, Lex Luthor in Prison garb. 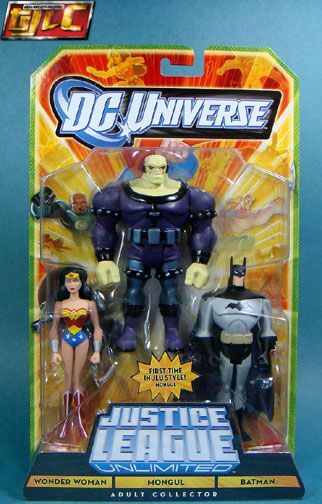 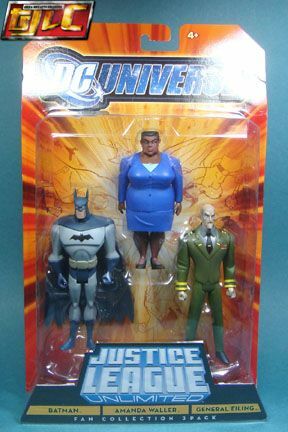 Batman, General Eiling and Amanda Waller. 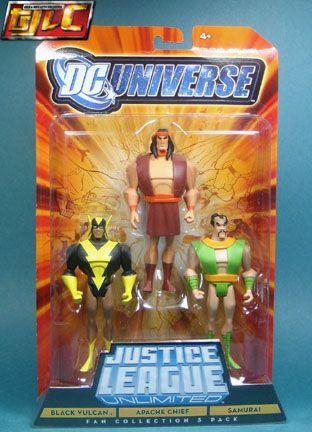 Apache Chief, Black Vulcan, Samurai. 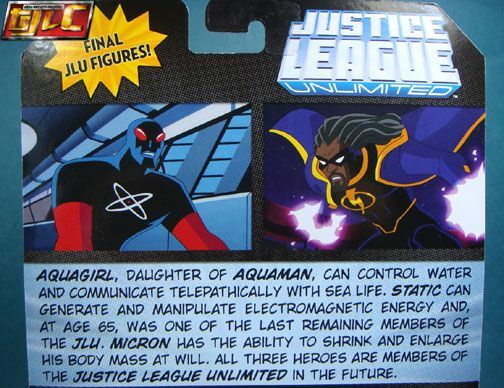 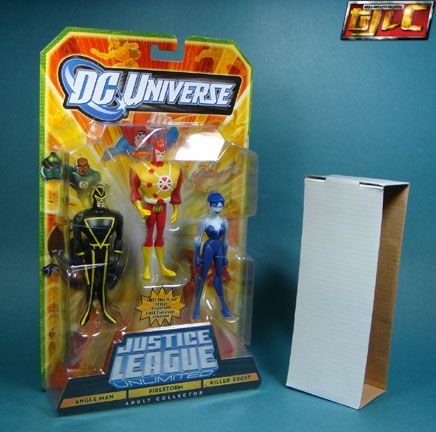 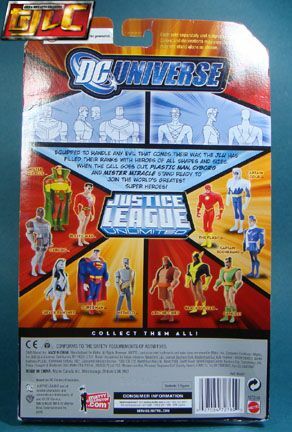 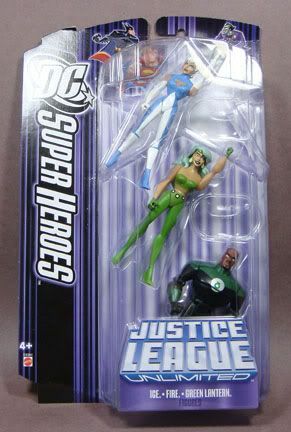 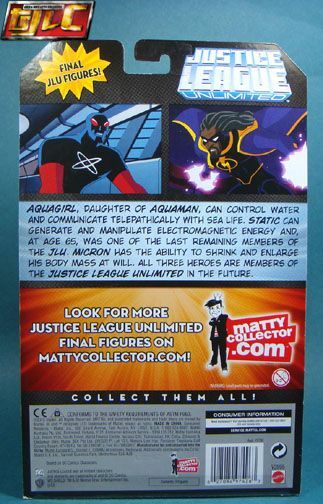 Ugh…Aquagirl really looks like a fish! 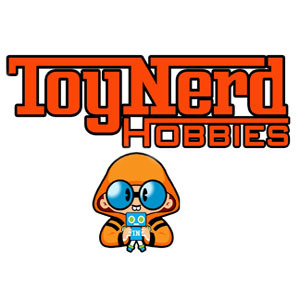 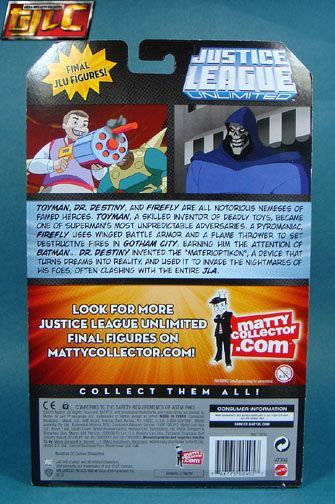 I find it strange why Toyman has damage painted on his head. 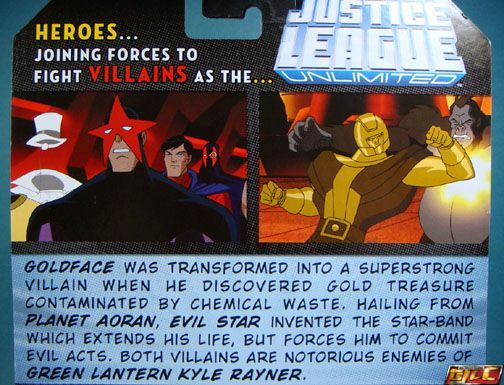 He usually appeared pristine in the show. 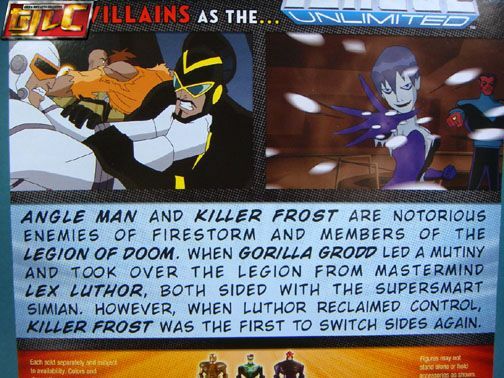 So this is it, I guess we bid farewell to a truly incredible line that lasted so many years after the show had ended. 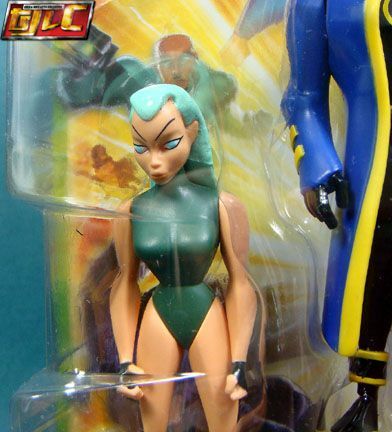 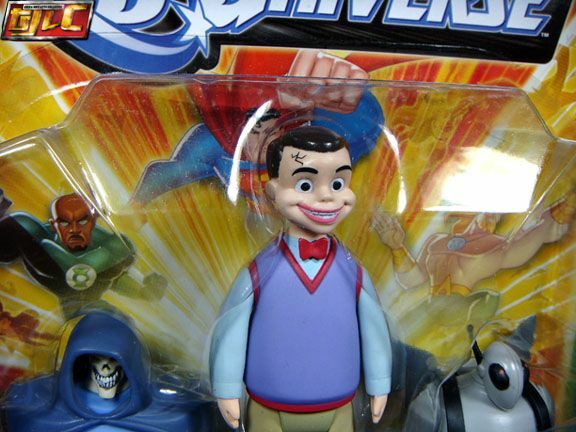 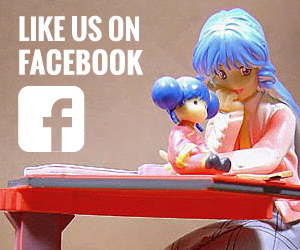 We still have a lot of missing “Timm-verse” characters in toy form (Myxzptlk tops my list). 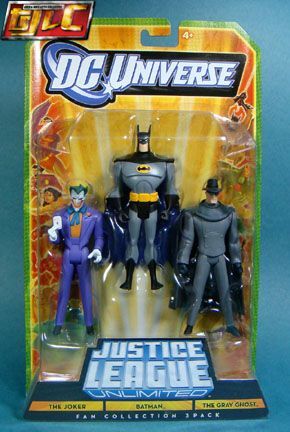 Ahh perhaps one day. 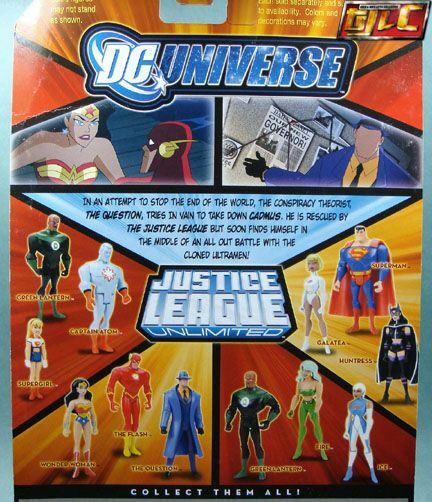 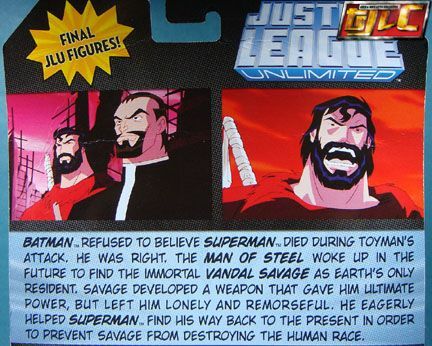 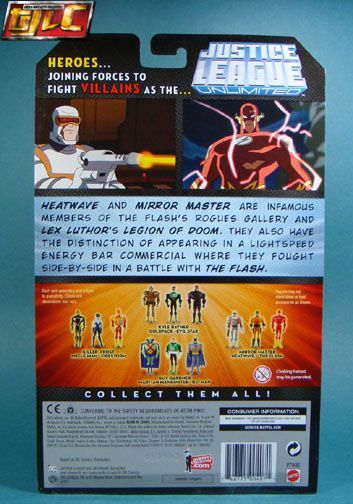 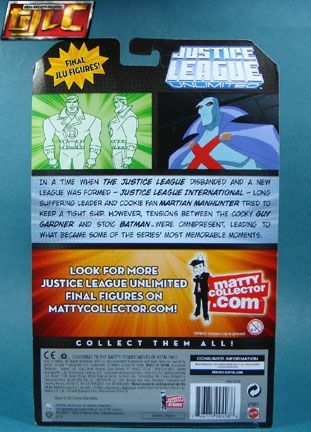 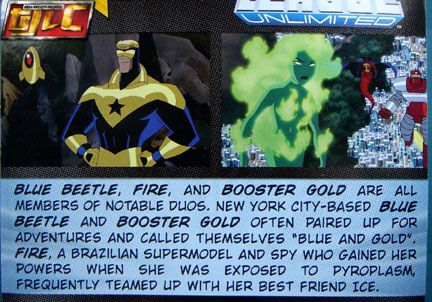 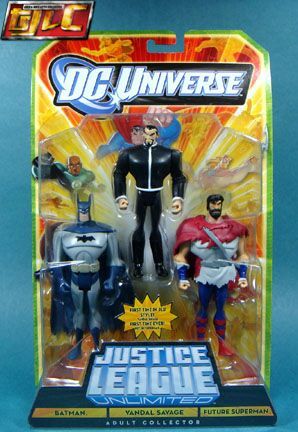 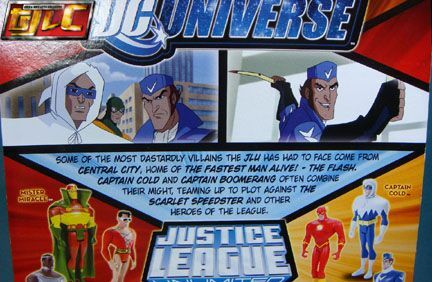 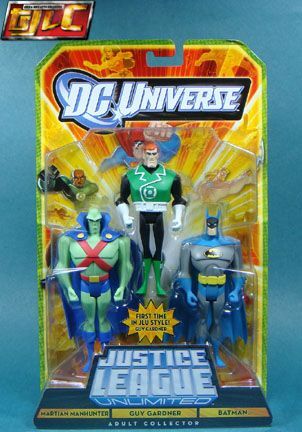 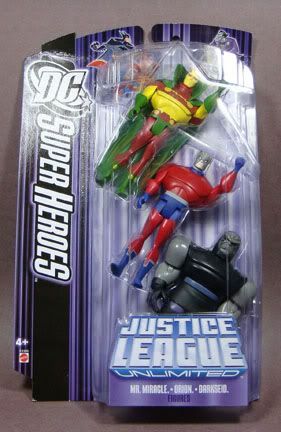 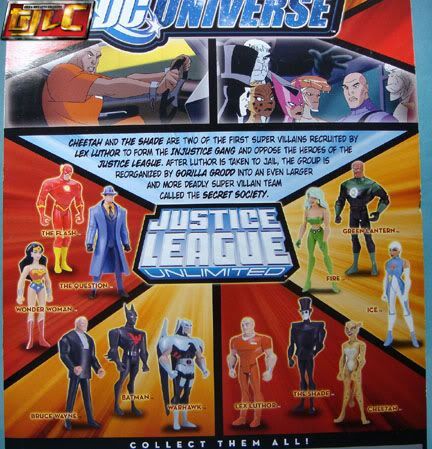 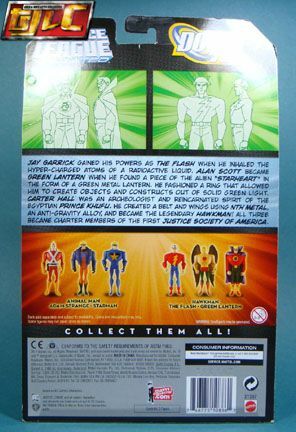 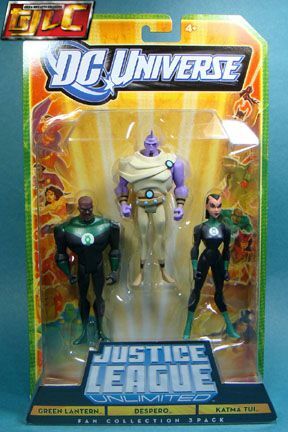 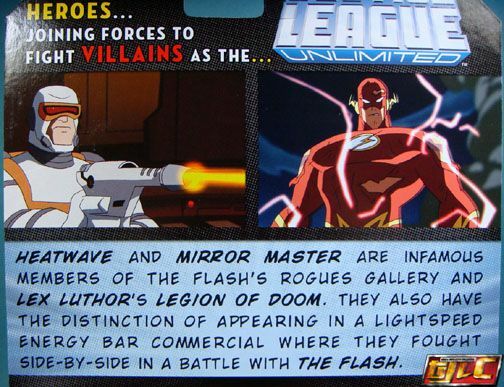 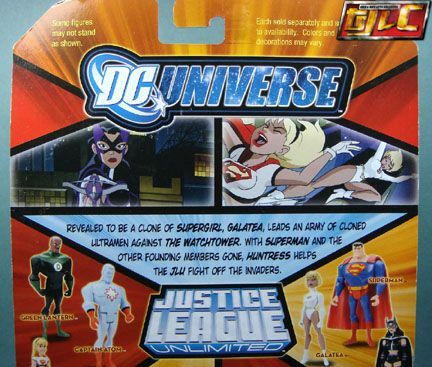 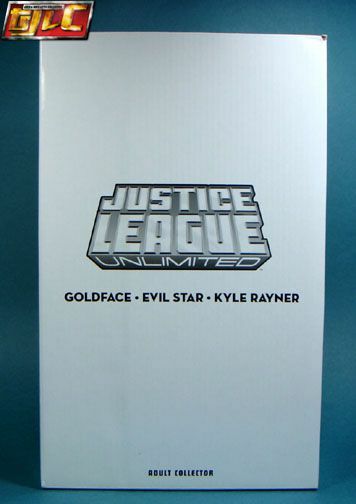 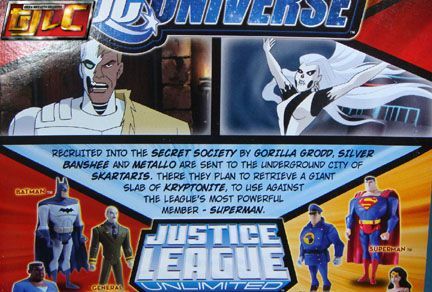 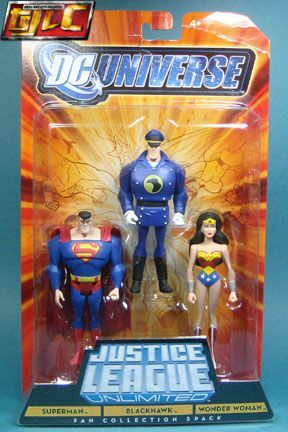 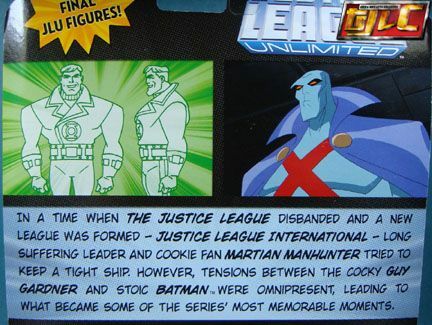 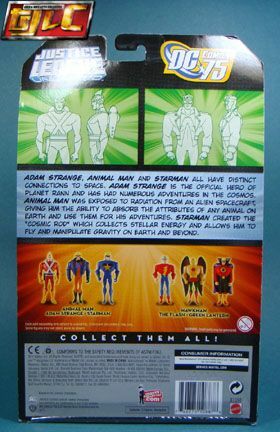 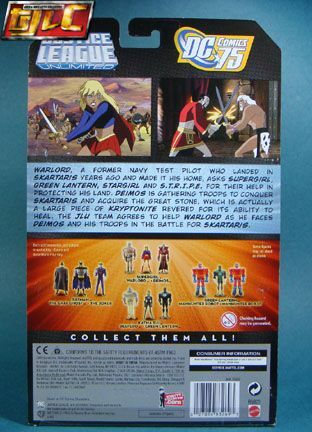 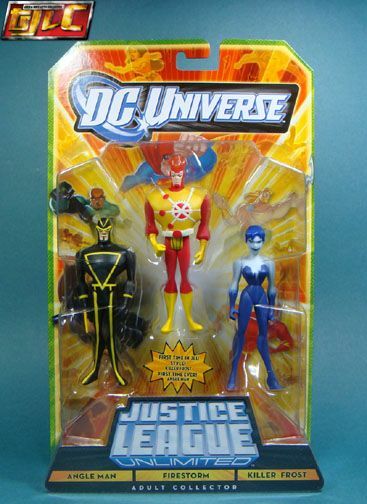 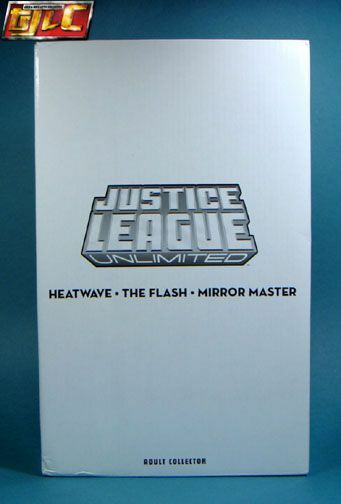 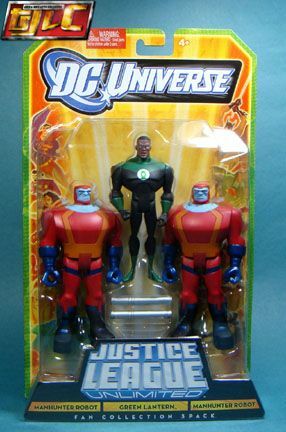 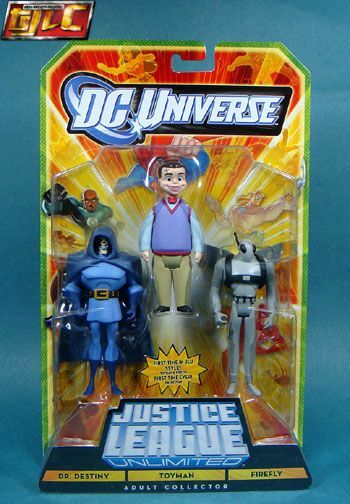 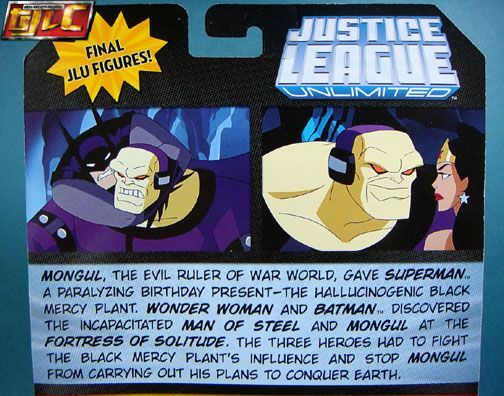 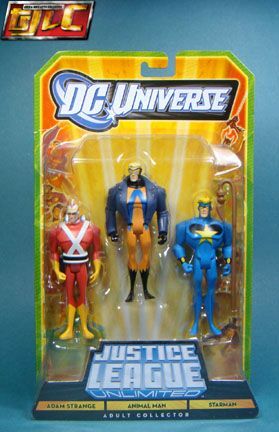 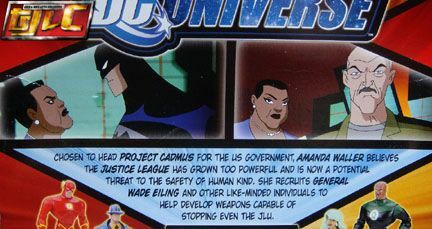 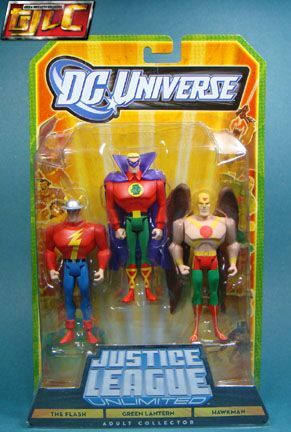 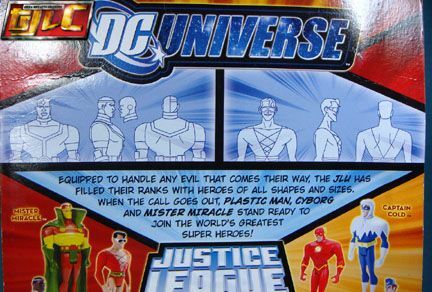 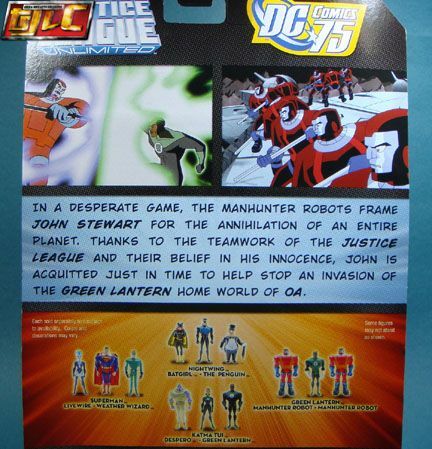 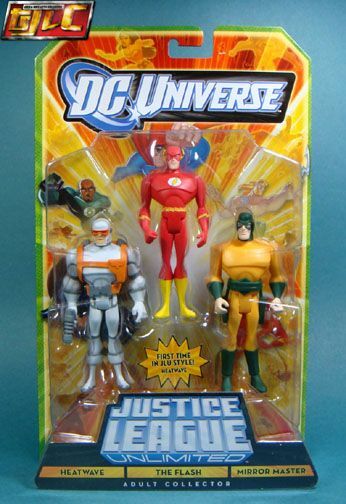 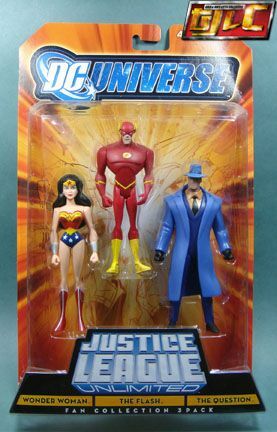 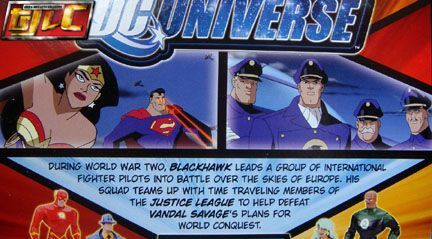 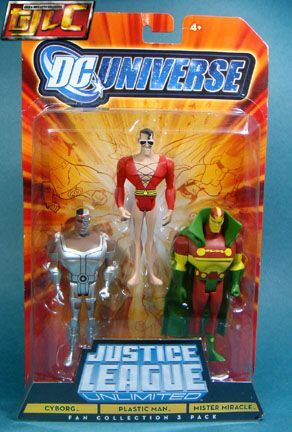 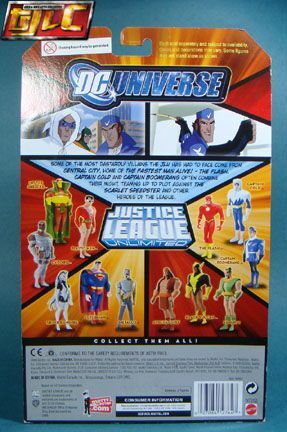 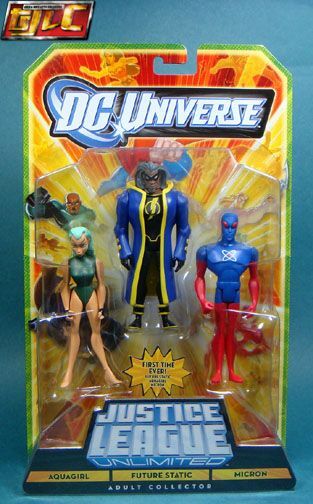 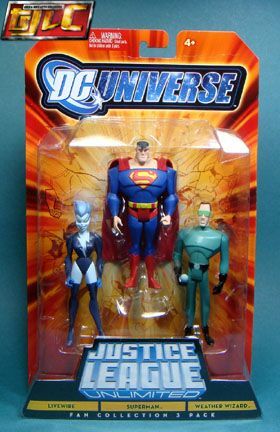 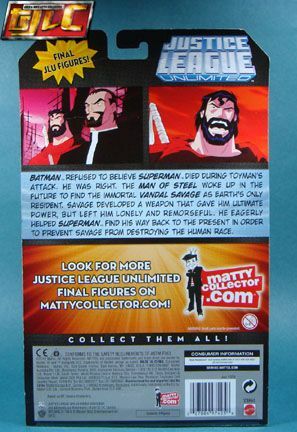 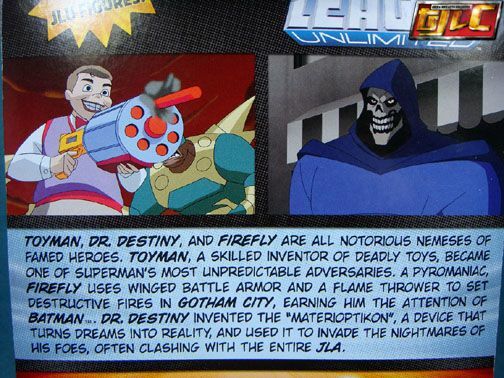 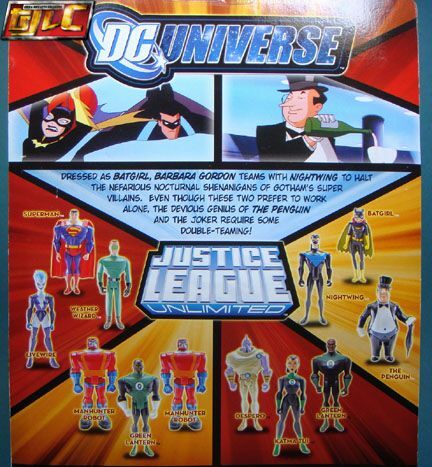 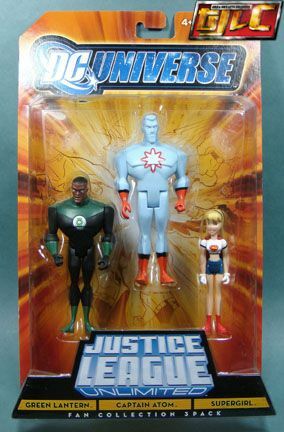 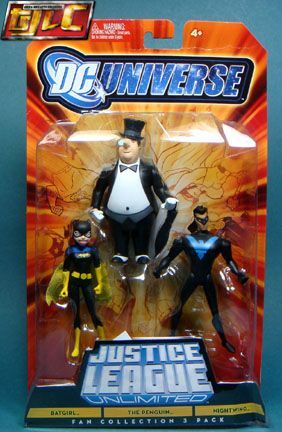 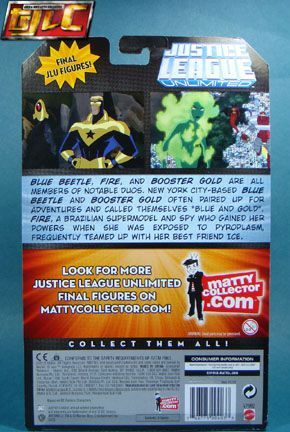 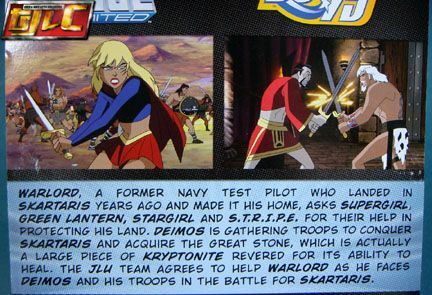 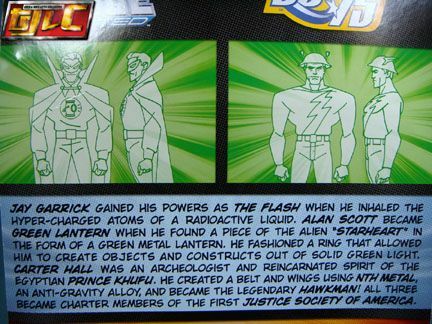 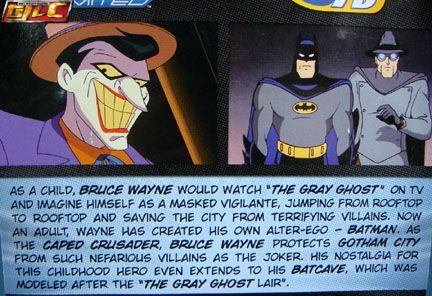 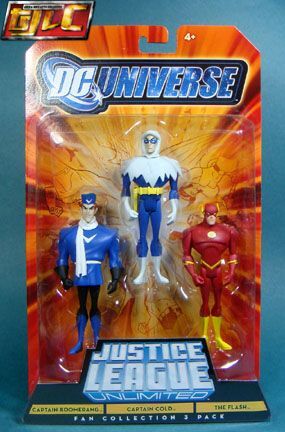 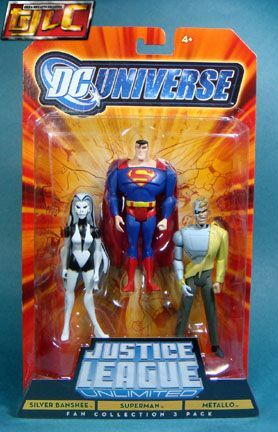 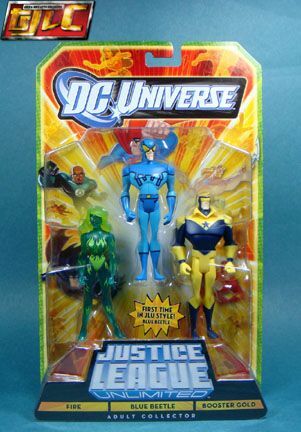 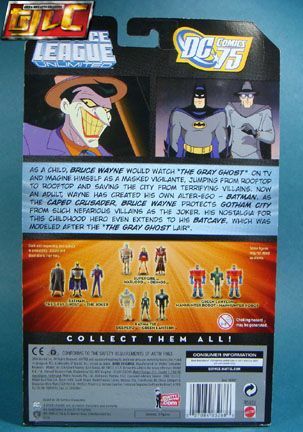 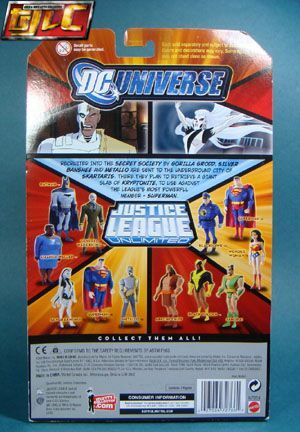 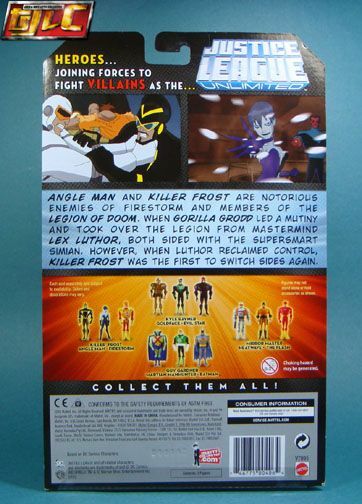 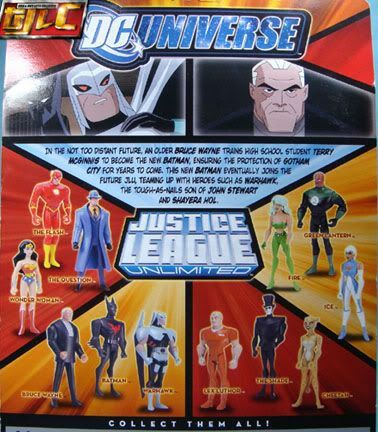 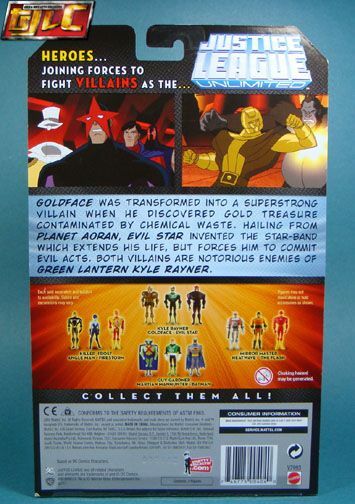 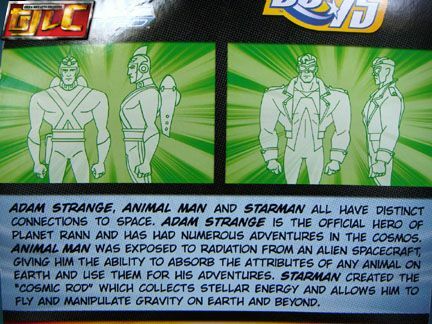 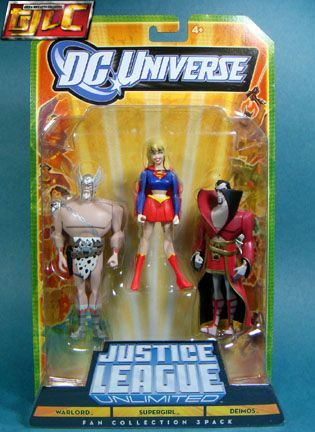 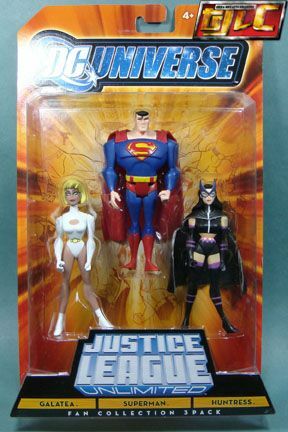 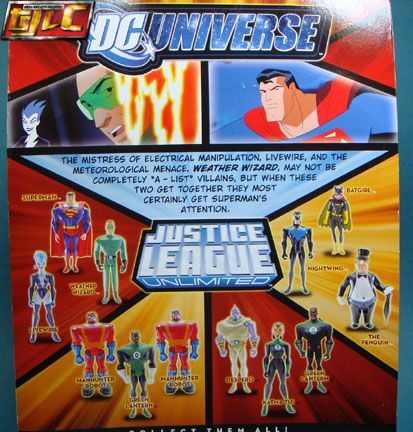 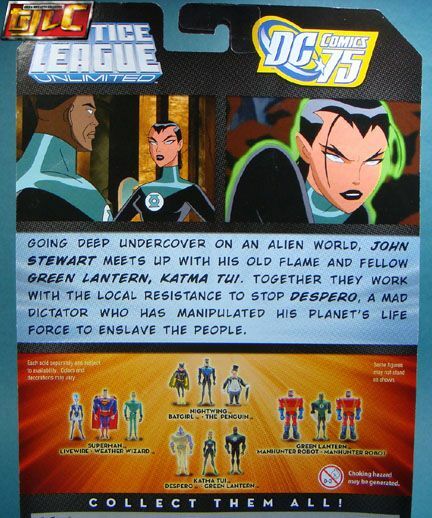 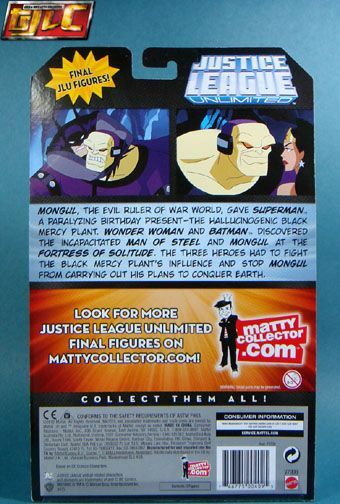 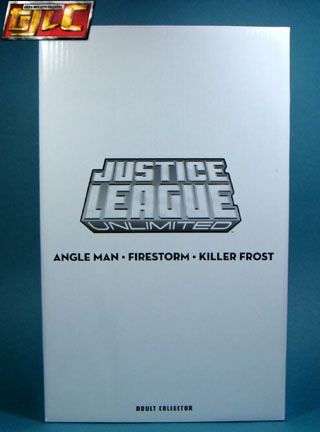 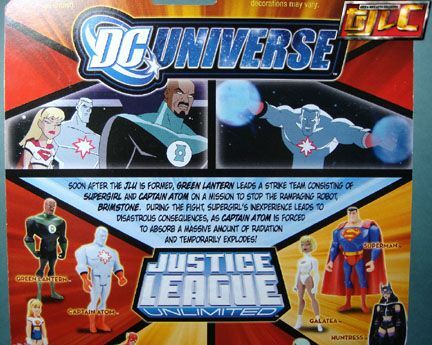 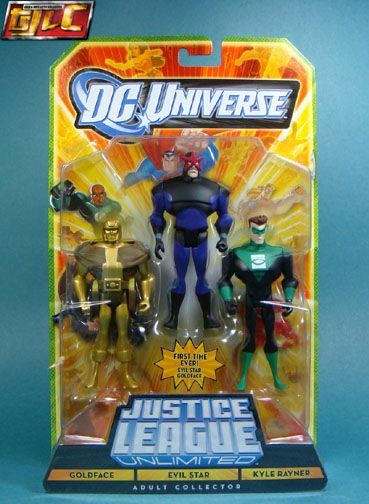 Mentionable characters that appeared in the JLU comics.